Rowlands Roofing has won the “UK Heritage Roofing Award” at a ceremony held in London earlier this year. The company won with a project undertaken on a Medieval Hall House called “Llwyn Celyn” near Abergavenny, owned by the Landmark Trust. The local firm is becoming no stranger to winning roofing awards, having won the “Roof Tiling Award” and the “Roof of the Year Award” at the UK Awards 2017. The firm’s roofing project undertaken at “Quintain House” went on to win the IFD Awards held in Vienna in October 2017. 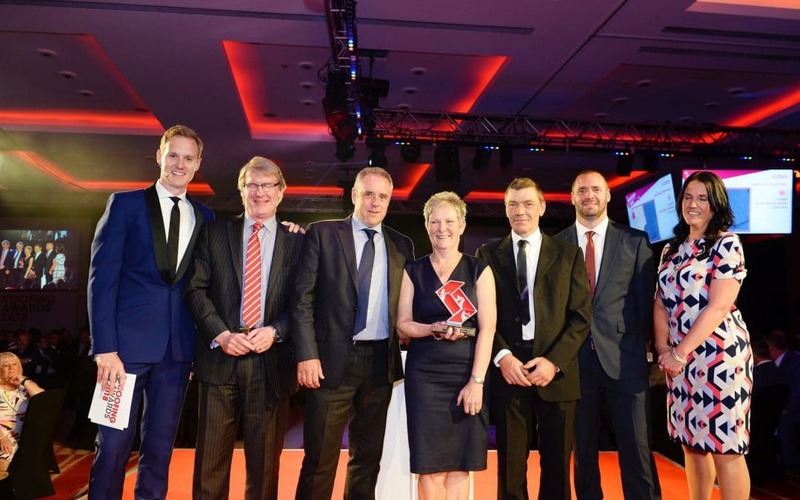 The achievement marked the first time that a UK company had won the Pitched Roofing Category in the IFD Awards’ 62 year history. Andy Rowlands, Owner, has also been recognised by “The Tylers & Bricklayers Livery Company” for his excellence in roofing, by being made a Freeman, and in May 2018, being given the Freedom of the City of London.